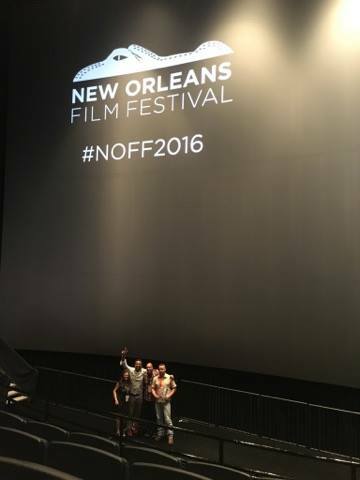 I was SO excited to watch my music video “Feufollet” on the Entergy Giant Screen! 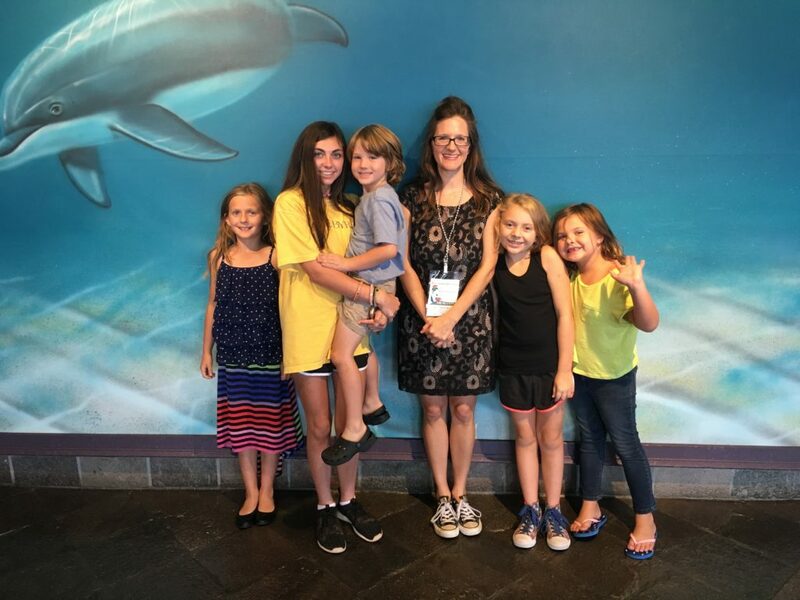 It was an official selection at the 2016 New Orleans Film Festival. Look at this amazing company of Family Friendly Animated Shorts! 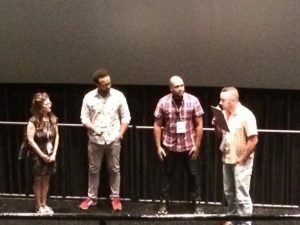 It was very cool to meet the other film makers, such as Limbert Fabian of Moonbot (The Boy Who Learned to Fly) and Brian Vincent Rhodes (Mosquito: The Bite of Passage). 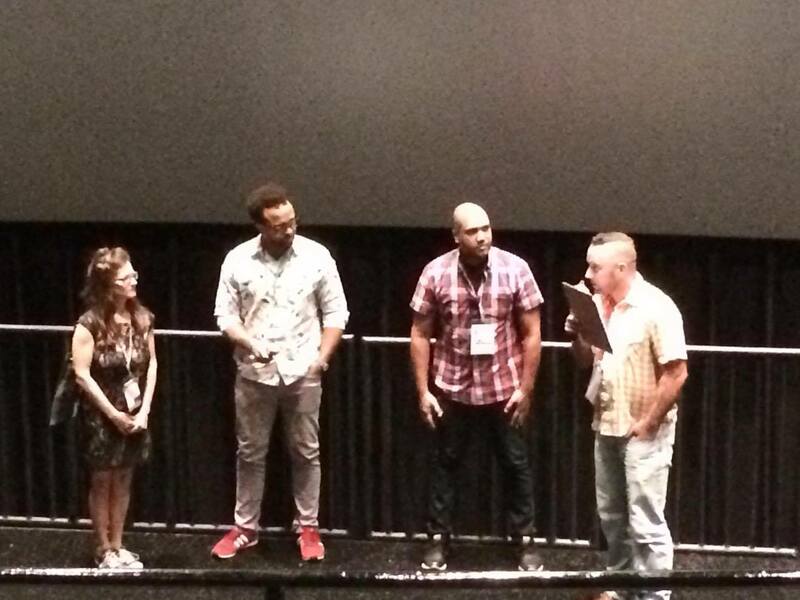 We took part in a Q&A after the film and fielded questions from a friendly, curious and supportive audience! The big screen! The big time! Katy Hobgood Ray, Brian Vincent Rhodes, and Limbert Fabian at a Q&A. Eric interviewed us. How I wish I could have had the company of Santiago Germano and Gustavo Wenzel, the amazingly talented animators who created “Feufollet” (and Santiago illustrated The Little Mouse Santi). I hope I represented them well. I did have the marvelous company of some of the best friends and family in the world! Thanks to my husband Dave, son Louis, and to my brother Marc and sister-in-law Gina and to Annabel for coming to the fest with me! All the way from Shreveport, my brother Marcus and sister-in law Gina. And my husband Dave, son Louis, and niece Annabel. And to my delight, just before the lights were lowered and the films began, some of my Confetti Park Players sprinted into the theatre…. It was a wonderful surprise!!! And here we are after the film showings. 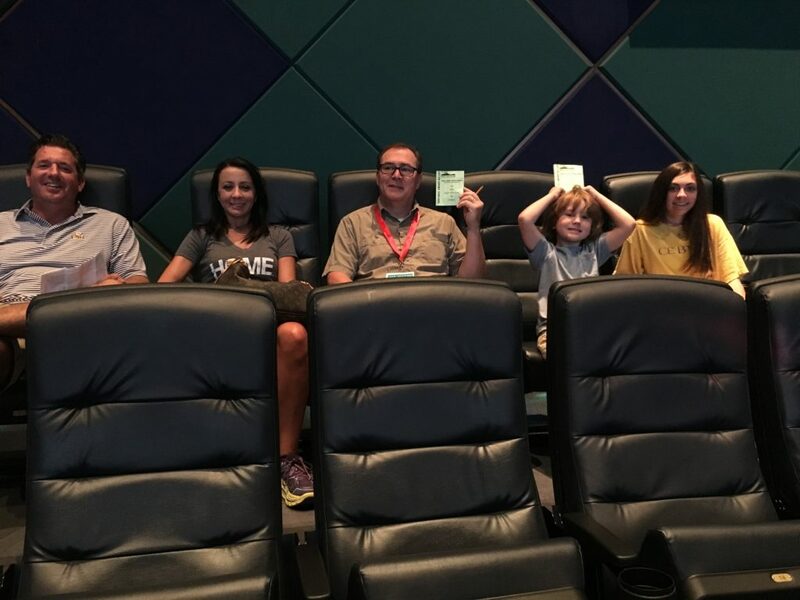 Some of the Confetti Park Players attend the New Orleans Film Festival. And now… for the film! 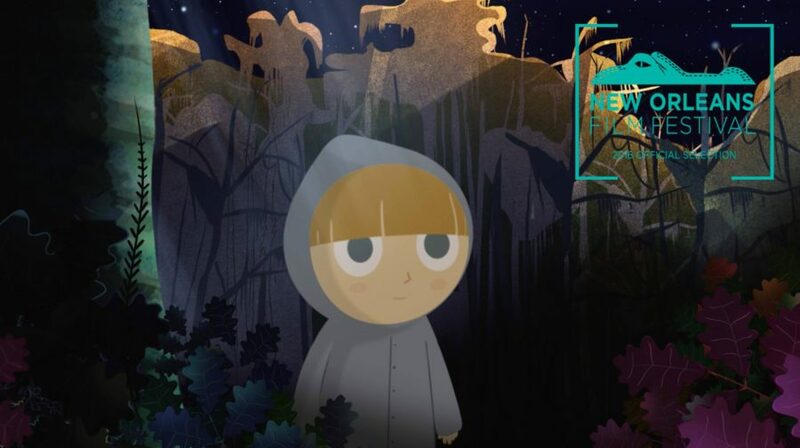 “Feufollet” is an animated short produced by Confetti Park. This is the music video for the song featuring Katy Hobgood Ray & the Confetti Park Players, animated by Santiago Germano and Gustav Wenzel.